Posted on December 22, 2011 Author Ms. Collins	1 Comment on Happy Holidays! I wanted to thank you all again for the very thoughtful class gift. I decided to buy a Kobo e-reader. It’s something I had been considering, and now I will think of this lovely class every time I use it. I still love physical books and will always love curling up with a book, but being able to put books on my Kobo will be wonderful when I travel; it only weighs 200 grams and holds hundreds of books! I hope you all have a restful holiday. Have fun with family and friends, catch up on sleep, eat tasty treats, and find some time to curl up with a good book! 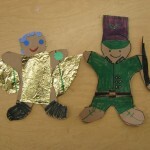 Posted on December 13, 2011 Author Ms. Collins	2 Comments on Gingerbread Man on the Loose! 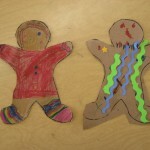 Continuing our gingerbread activities, yesterday we baked cookies. (Thanks to the moms who helped!) 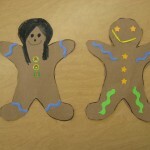 Students got to roll out the dough, cut out a gingerbread boy or girl, and decorate it before it went in the oven. 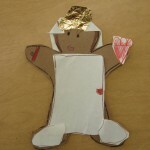 We used the scraps to make a giant gingerbread man, and left him cooling in the staffroom after school yesterday. When we went back this morning to eat him, all that was left was a crumb! But there was also a note saying “Run, run as fast as you can, you can’t catch me, I’m the gingerbread man. Look in Jeff’s Office”. 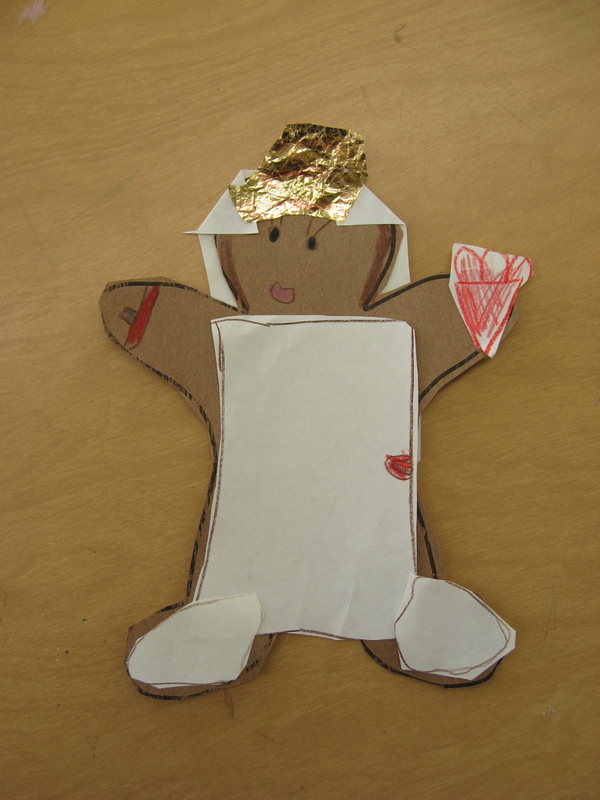 Our gingerbread man had gone on an adventure! Fortunately, he left notes so we tracked him to the library, the dance studio, the art room, and finally into the office. Mrs. Bayntun said she smelled something really good yesterday when she was working, and what did we find hiding under her desk? The gingerbread man! We ate him as soon as we got back to the classroom so he couldn’t escape again! This week we read the Gingerbread Man by Jim Aylesworth, which is the traditional story of the Gingerbread Man, when he jumps out of the oven and runs away from the husband, wife, and various animals before being eaten by the fox. 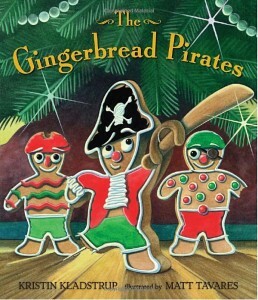 On Friday we read Gingerbread Pirates by Kristin Kladstrup. In this version a boy makes cookies to leave out for Santa, and they come alive once he falls asleep. The pirate captain tries to rescue his sailors from jail (the cookie jar), and eventually Santa gives them a ship at the end of the story. 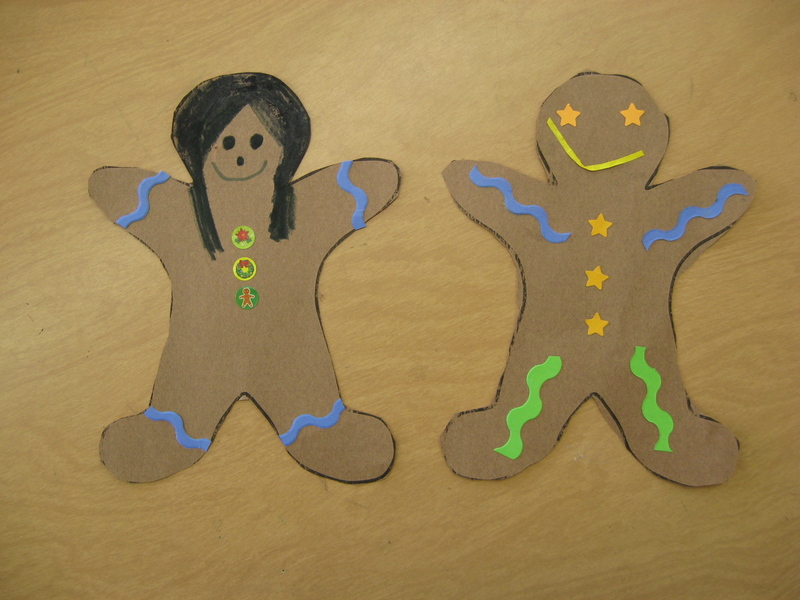 We talked about how the author of Gingerbread Pirates created her own characters based on the gingerbread man. 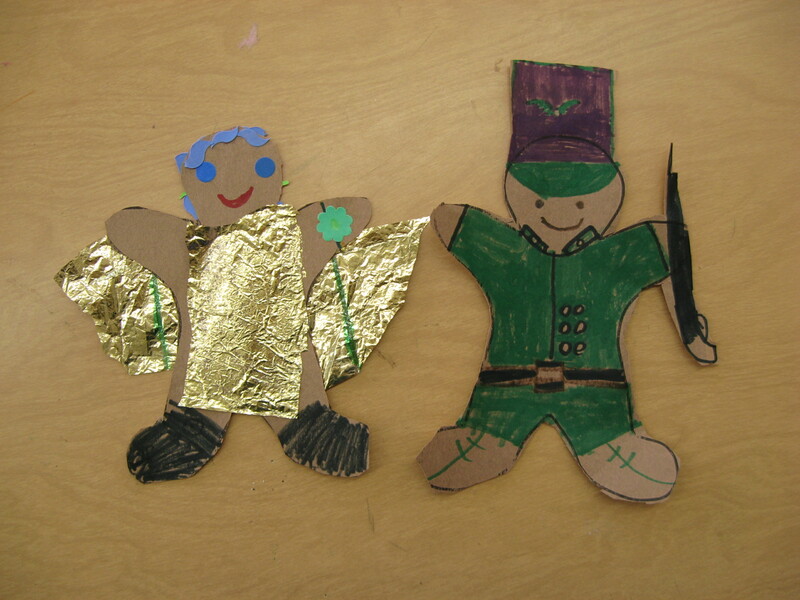 Then we used that idea to create our own characters. 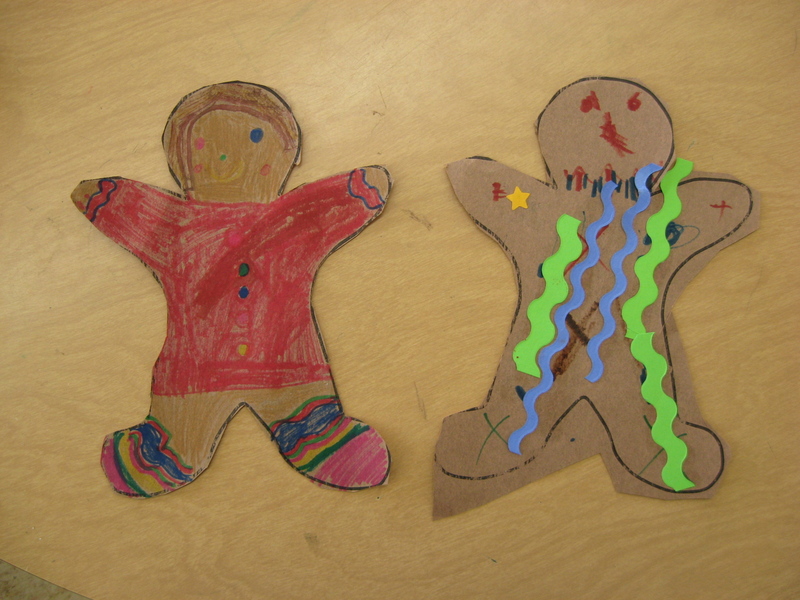 Some students chose traditional gingerbread girls and boys, but we also had a gingerbread bride, a gingerbread soldier, gingerbread zombies and gingerbread angels. Posted on December 10, 2011 Author Ms. Collins	1 Comment on Shopping! 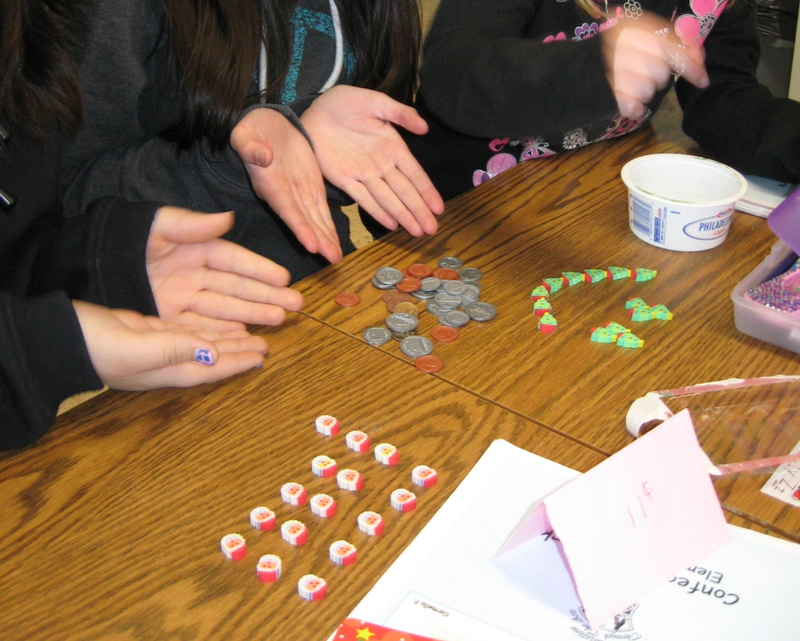 The grade 2s have been learning about money in math. We have learned the names of the coins and their values, and practiced counting money starting with the dimes, then nickels, then pennies. 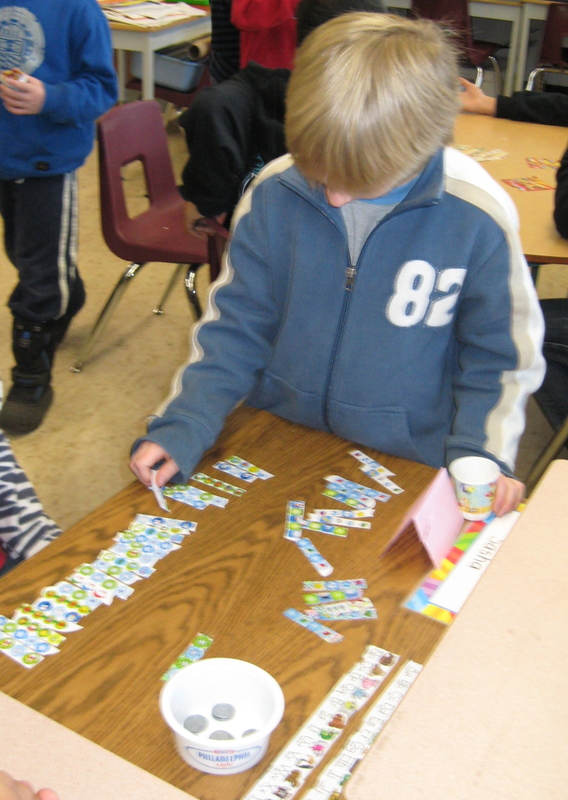 To practice, Division 1, our buddy class came to help run a store. 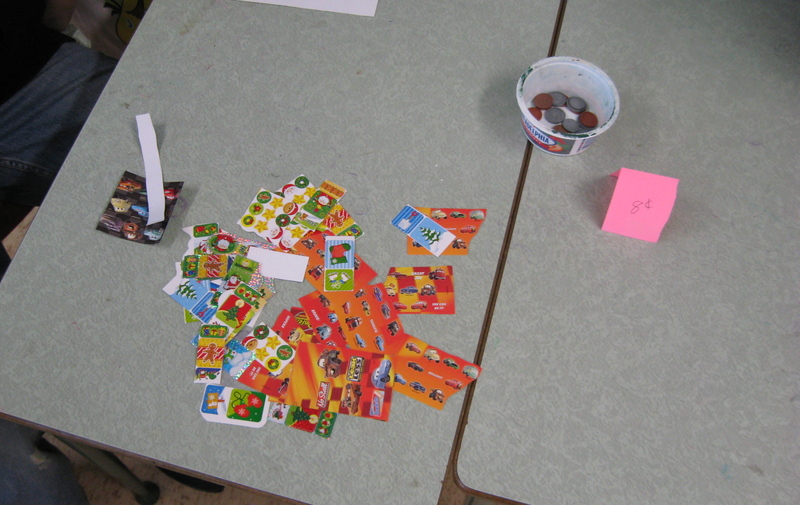 Each student had 59¢ in play money to spend. 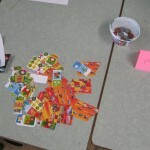 They could choose what they wanted to buy: stickers, candy or little erasers. 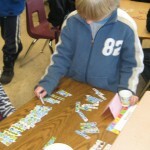 The students had lots of fun making their choices, and were especially excited that they got to keep what they bought. 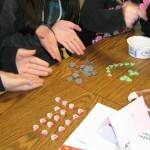 The big buddies also got to practice counting money and giving change. It was a really fun buddy activity! The students did a wonderful job at the performance on Thursday. They had been practicing their “Man in the Bright Red Suit” dance for two weeks, and I think they all looked great on stage! Unfortunately, I don’t have any pictures, since I was behind the scenes acting as stage manager and helping the cast change their costumes. I am very proud of all the cast and dancers for working so hard; it was a great performance!